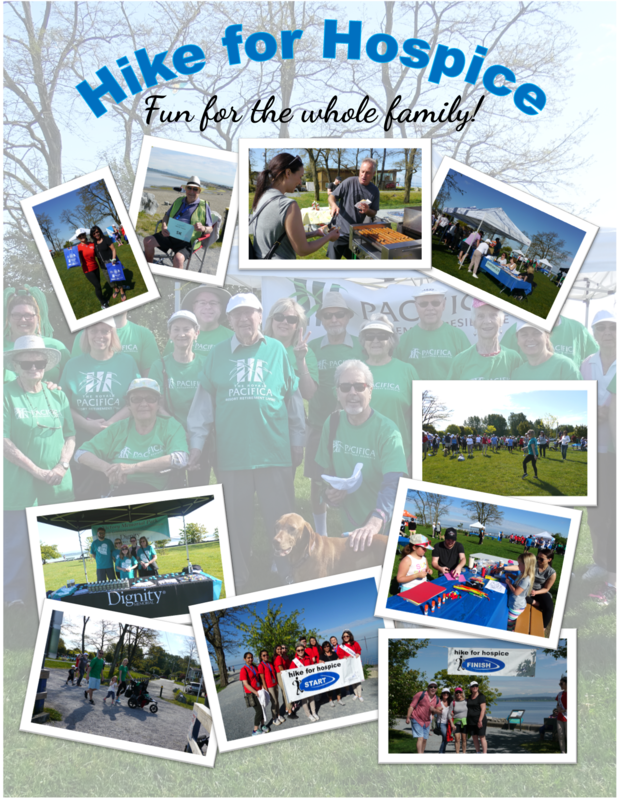 Everyone had a great time at Hike for Hospice last year; we hope you can make it this year! Bring your family, friends and your dog for a beautiful morning walk in Crescent Beach. Refreshments, prizes, and loads of fun, and all for the great cause of helping those terminally ill or grieving the loss of a loved one. Your support counts! Thank you Crescent Choirs for the amazing evening of music! It was enjoyed by all and we are forever humbled and grateful that you chose us as the recipients of your generosity! The annual Ladies Night event is here!! Grab your BFF and come join in the fun and excitement at West Coast Gardens! There will be nibblies, wine and cider sampling, live music, live demonstrations for plant lovers and gardeners, great door prizes and some creative bonding time! 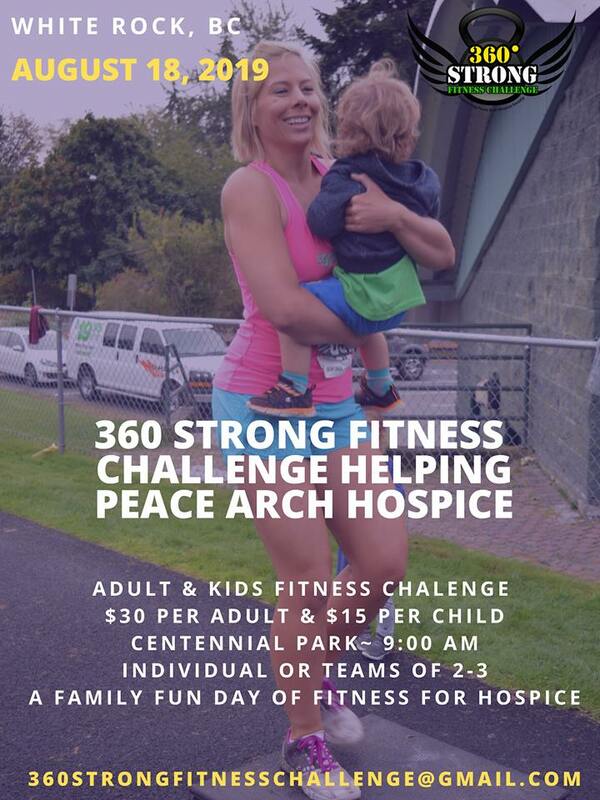 Proceeds from ticket sales will be donated to the Peace Arch Hospice Society. 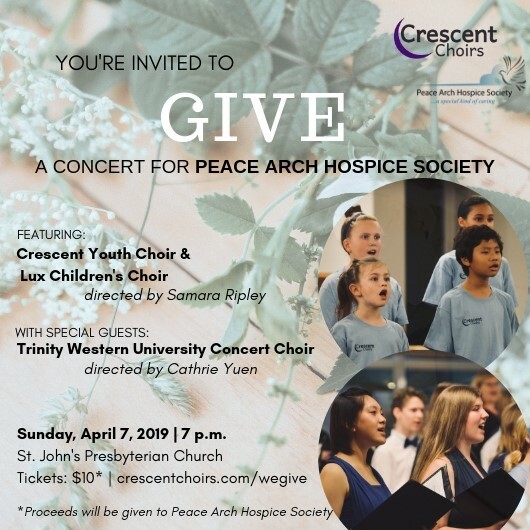 Click onto the picture below to purchase your tickets. 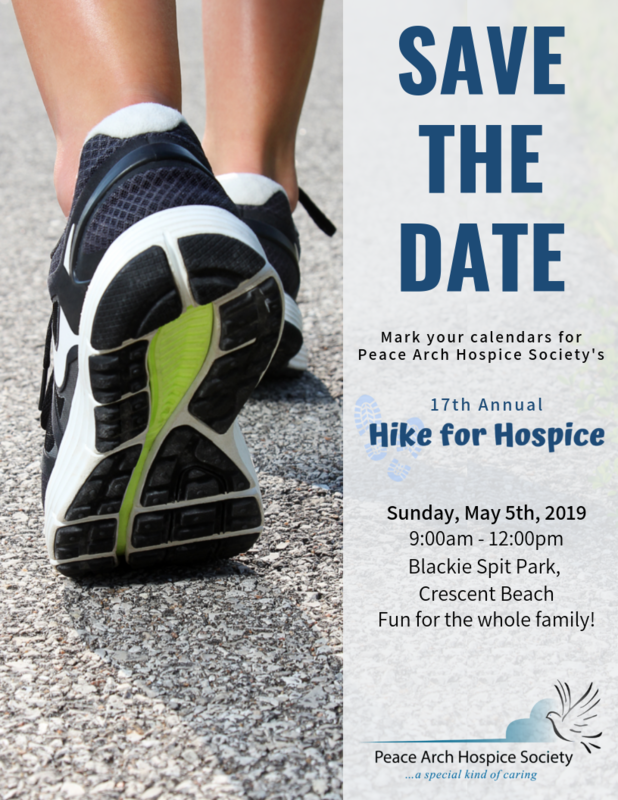 Hike for Hospice – Save the Date! Mark Sunday, May 5th on your calendar. We hope to see you there!